Stockholm. Photo by Matias Larhag / Unsplash. For Gentedimontagna editor Berit Baugher, researching a trip is nearly as fun as going on it. She's currently making her hit list for a spring vacation in Stockholm. 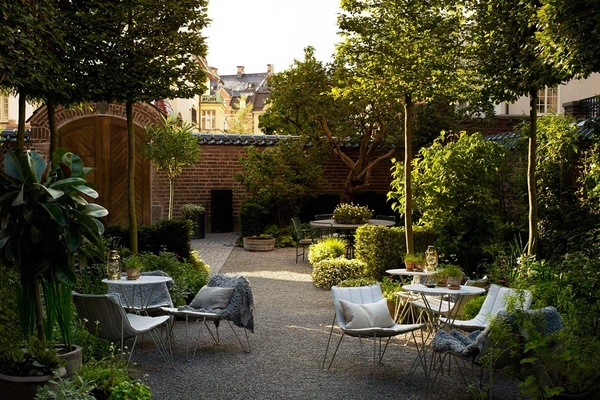 STOCKHOLM – When traveling for pleasure, I often pick a destination arbitrarily — a pretty photo of a hotel garden sparked my interest in Stockholm, Sweden. It's been on my list of places to visit for a few years now, and I finally pulled the trigger and booked a long weekend in May. 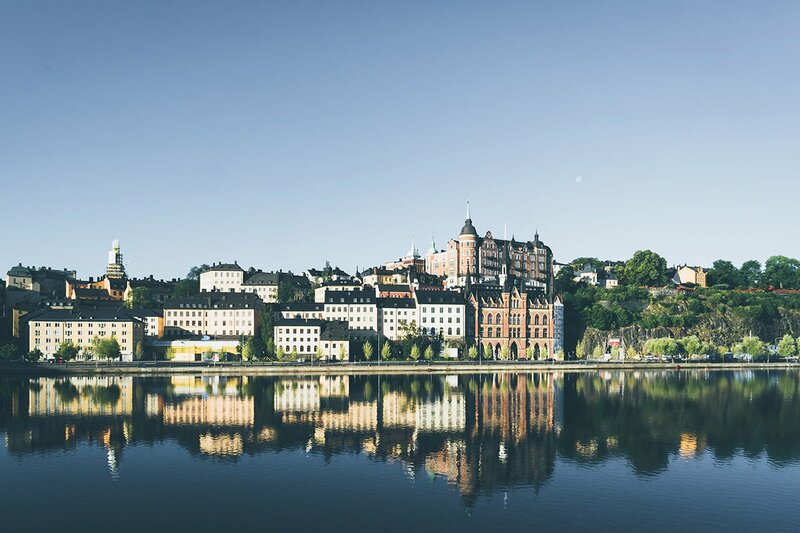 In addition to the city's beautiful design, charming cobblestone streets, and Swedish meatballs, here are the spots currently topping my Stockholm hit list. The garden at Ett Hem. Photo courtesy of Ett Hem. The 100-year-old Scandinavian townhouse was converted into an elegant 12-room hotel by super designer Ilse Crawford. Inspired by the idea of visiting a friend's cozy home, comfortable common spaces include a library with floor-to-ceiling bookshelves, a kitchen where guests are encouraged to help themselves, and a manicured garden. : rooms available from 3,900 SEK per night. Bakfickan. Photo by Holger Ellgaard / . An intimately-sized restaurant inside the reputedly makes the best Swedish meatballs in town. 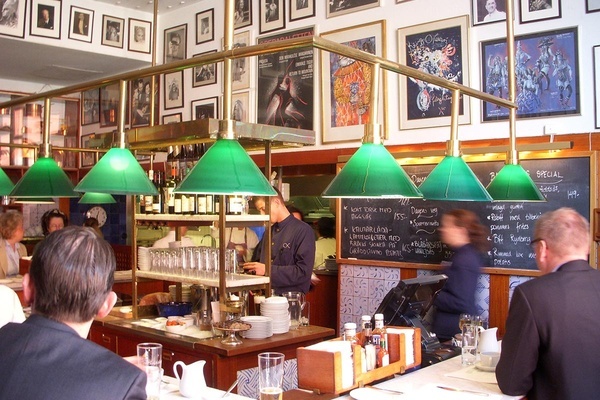 Served with a silver bowl of whipped potatoes and small dishes of lingonberries and pickled cucumbers, I plan on enjoying the typical Swedish meal in a seat at the old-fashioned marble counter. 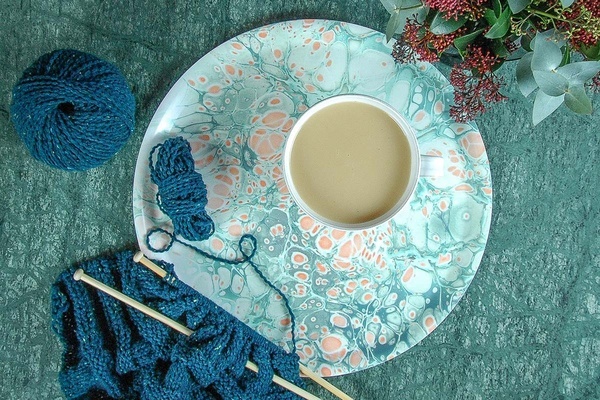 Inspired by paper marbling, the Swede-designed decorative serving trays have been popping up on my Instagram feed for months. I plan on picking one up as I make my way through the city's many interior design shops. , , and are a few of the shops that stock them. The Stockholm jacket in Navy. Photo courtesy of Stutterheim. 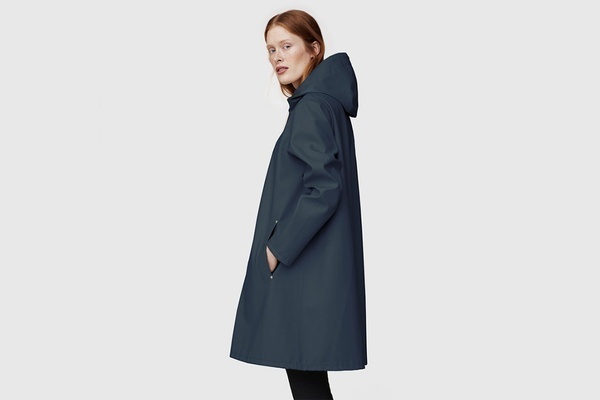 Although they have a store in New York City, I'll be heading to the brand's flagship location for a sleek-but-functional handmade raincoat crafted from rubberized cotton. 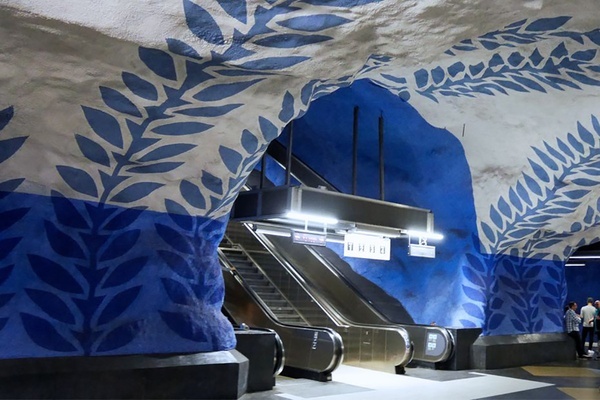 T-Centralen subway station. Photo courtesy of Visit Stockholm. Regularly referred to as the world's longest art exhibit, I'm saving a few hours to explore the city's 68-mile subway system. Over 150 artists have decorated the interiors with sculptures, mosaics, and murals addressing topics such as ocean conservation and women's rights.